Feed your fire. Find your flow. 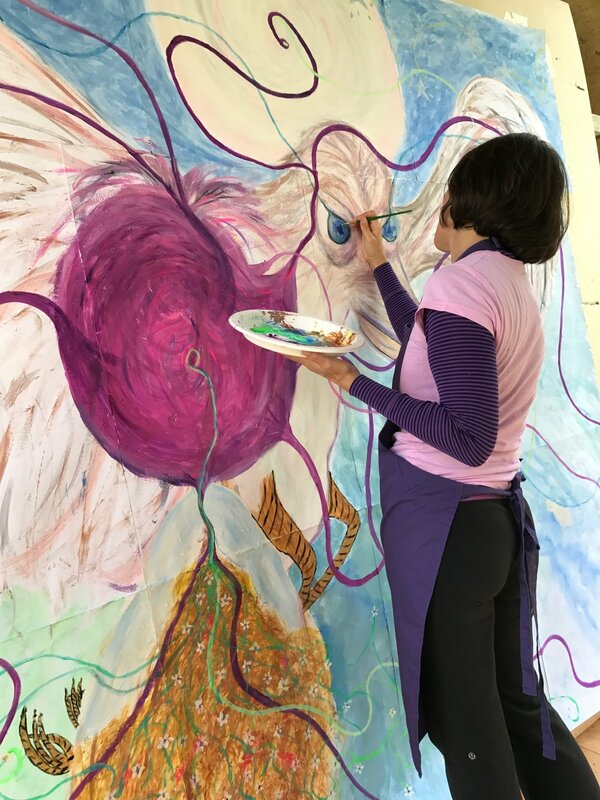 Intuition Painting® with Montine Blank of Paint Awake delivers profound personal and artistic breakthroughs by linking your dream state with your waking self and allowing your inner world to be expressed. 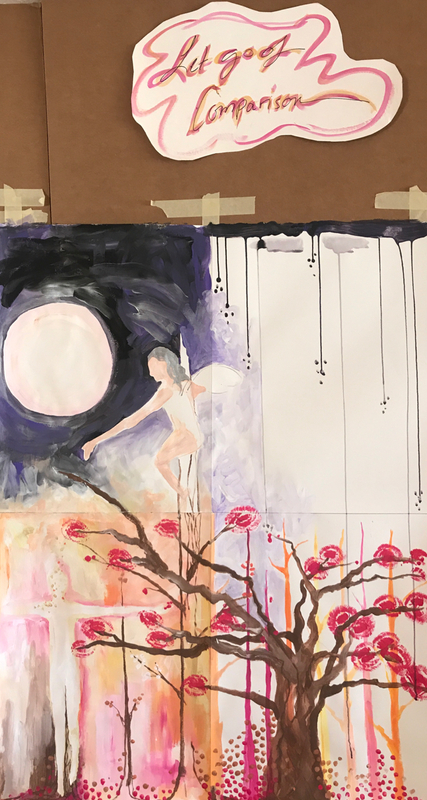 Using a methodology that combines guided meditation, creativity coaching, mantras, personal inquiry, and reflective movement, you stay focused solely on the process while painting freestyle on large-scale paper, without any preconceived ideas or concerns for the resulting product. The approach side steps your inner judge and connects you with your creative flow, so that unplanned forms and figures from the unconscious can appear. 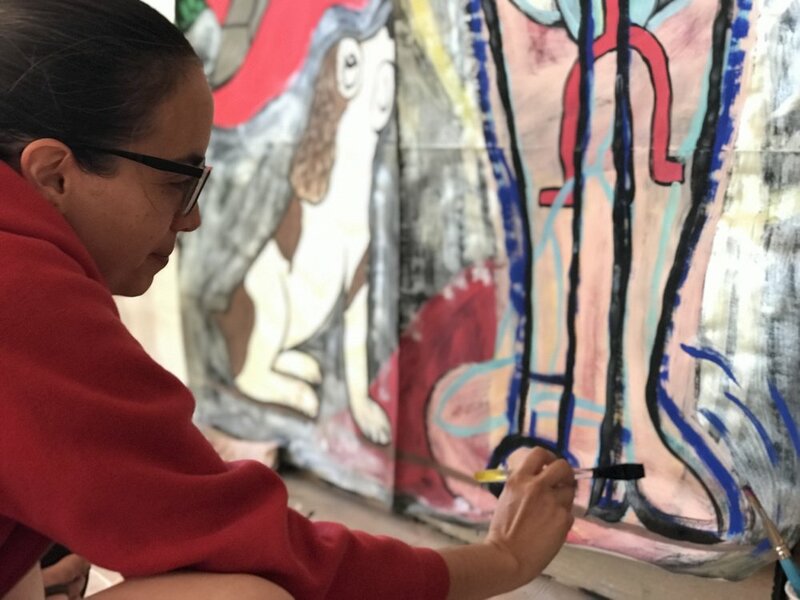 The resulting paintings become visual diaries, offering insights about your inner world and giving guidance to help you know, grow, and heal yourself. Described as “dreaming on paper,” “the yoga of art-making”, and “creative soul exfoliation”, Intuition Painting® is a one-of-a-kind, deeply transformative intuitive-creative process, helping people awaken, expand, and become more self-aware, so that they can become more powerful and authentic versions of themselves. Creating from intuition is for everyone. Unlike art classes you may have experienced, Intuition Painting® workshops and retreats are not about making Fine Art or a finished product. 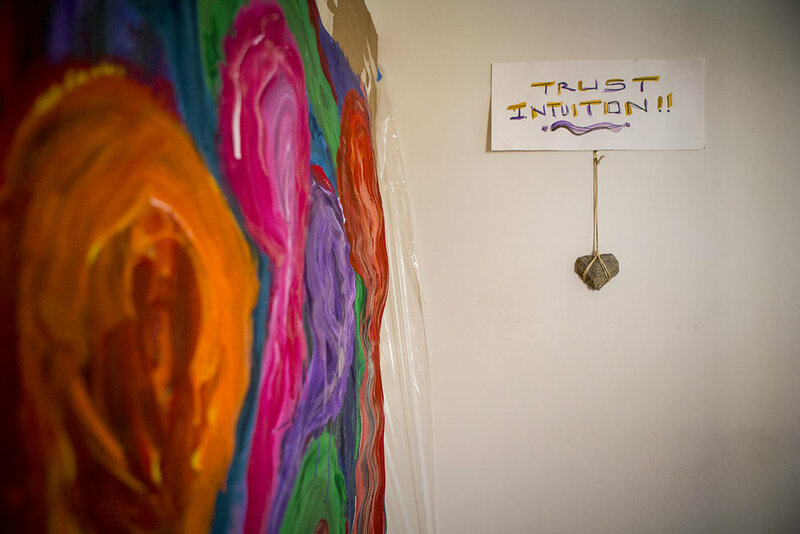 Instead, both Artists and non-artists alike practice Intuition Painting® for personal development to balance their mental states, improve their outlook on life, grow in personal and spiritual awareness, explore their emotional landscape, heal from loss, reconnect to their inner muse, and access boundless creativity. 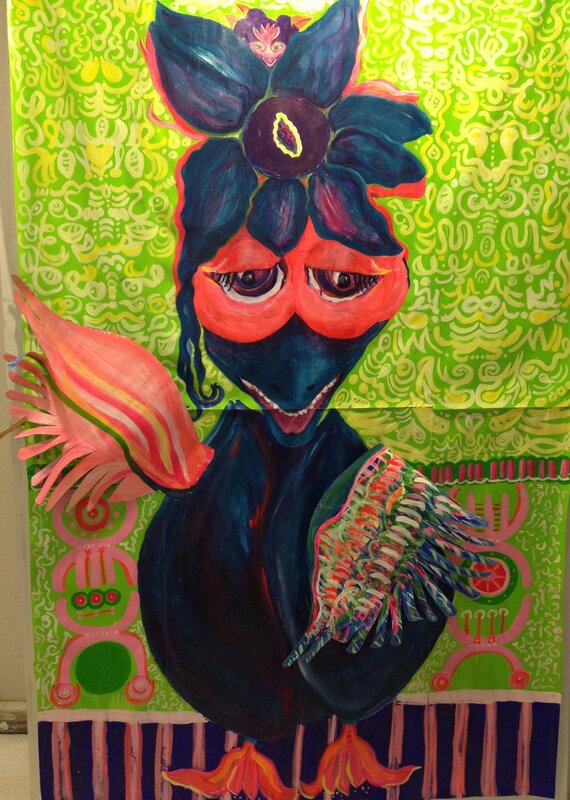 Intuition Painting® will be unlike anything you have ever experienced, rich with discovery, surprise & delight. Read over 15 years of amazing testimonials from participants. 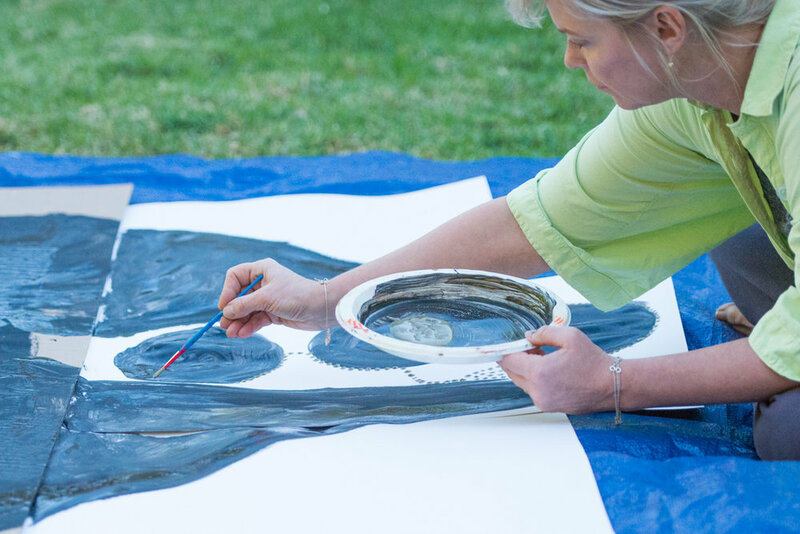 Intuition Painting® offers a path to creative and personal freedom. The results are not intended to be judged in any way; instead they become a source of knowing for the painter. This process serves as an amazing tool for self-awareness because what you bring to the canvas mirrors the parts of you that need to be nurtured, surrendered, or celebrated. Transform unconscious patterns that don't serve you. Making art intuitively quickly becomes a metaphor for life. Like the saying “the way you do anything is the way you do everything”, what you bring to the canvas highlights what you bring into relationship with yourself. 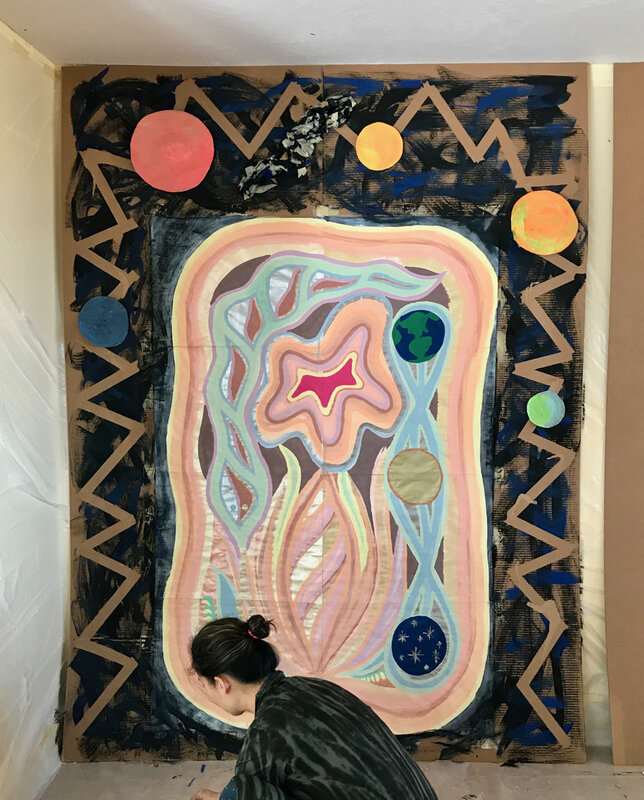 Are you ready to integrate Intuition Painting® into your self-care practice or in your work as a teacher, artist, therapist, healer, coach, spiritual leader, or mentor?